The Flying Feminist | Listen Free on Castbox. 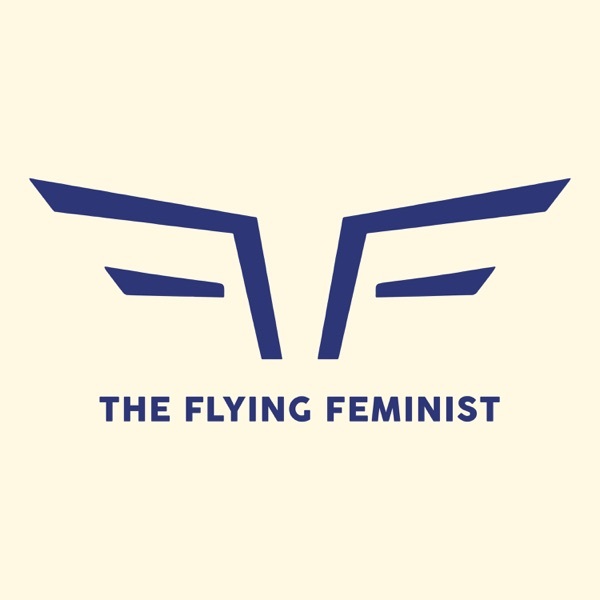 The Flying Feminist is a podcast sharing stories of fearless women all over the world. Zilla Boyer is a part-time flight attendant and a full-time feminist. While travelling, she gathers stories of people who identify as female and fight to make a change towards more gender equality. Nada is a transgender activist, who laid the groundwork for Thai transgender students to get official documents according to the gender they have chosen. When studying law at a prestigious university in Northern Thailand her 12 classmates - all men - got their graduation certificates. Hers was denied because the photo she had provided did not show her in a male-specific way. In this episode, she tells how she successfully petitioned her university to issue her certification of graduation according to the gender identity she has chosen, on the basis of her rights rather than mental illness. She furthermore talks about the sexual abuse and struggles she faced in her youth and how she overcame her depression and found her purpose in life. She explains how she finally even reconnected to her parents and why she is now hoping to become a member of parliament in the coming national election in Thailand.To find out more about Nada go to:- https://www.reuters.com/article/us-thailand-lgbt/in-lgbt-paradise-thai-transgender-activist-breaks-barriers-to-education-idUSKBN15204Z.- https://www.outrightinternational.org/content/nada-chaiyajit-gender-activist-advances-rights-trans-students-thai-university.To find out more about this podcast go to www.theflyingfeminist.com. Nicole is a registered psychologist working as a feminist counsellor. She is specialized in shame resilience, healing trauma, and setting boundaries. In this episode, she talks about what she loves about her work and her clients, how she tries to help them, how she became involved with feminism and what it means to her. To find out more about Nicole go to http://www.feministcounselloredmonton.com. To find out more about this podcast go to www.theflyingfeminist.com. Devika is a social activist who founded 'Stem op een Vrouw' (Vote for a Woman). She fights racism and enhances the number of women elected and running for office in The Netherlands. A returning theme in her work is identifying flaws in our democracy and offering solutions. In this episode, she talks about how she came up with the idea for the campaign and what motivates and challenges her. To see a TEDxTalk by Devika about her ideas go to https://www.youtube.com/watch?v=QwsGrpKK99s.To find out more about 'Stem op een Vrouw' go to https://stemopeenvrouw.com. To find out more about this podcast go to www.theflyingfeminist.com. Stephanie is a tireless advocate for social justice and inclusive policies. She founded the Utah Women's Coalition - a statewide, nonpartisan group working to advance the status of Utah women through public policy. In this episode, she talks about her work and how she stays motivated, and about what it's like to run for office. Not long after this interview was recorded, she was elected to the Utah House of Representatives in November 2018!To find out more about Stephanie Pitcher go to http://www.electstephanie.com.To find out more about the Utah Women's Coalition go to http://utahwomenscoalition.org.To find out more about this podcast go to www.theflyingfeminist.com.